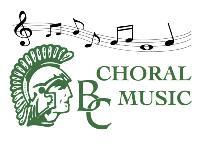 The Choral Program is dedicated to inspiring students to be the very best learners, individuals, and musicians that they can be. It is a high level of commitment with a high level of expectation, but we believe it is worth every ounce of contribution. We welcome you and hope that you are excited for what the Lord has in store! All artistic endeavors reflect the source of artistry and creativity: God, the Creator, whose creations are His works of art. We recognize the need for an environment where student artists can exercise their talents, express their artistic impulses, learn to appreciate the achievements of artists who have paved the way before them and obtain skills that will enhance their God given abilities. The Brethren Christian Fine Arts department aims to provide an outstanding arts education in a Christian environment. To that end, the program seeks to foster and develop the skills of each individual student.